Stola is a little known Italian company, initially founded in 1920, which carries out confidential work for many manufacturers worldwide. With over 2,250 employee's and secondary operations in Brazil and India, Stola, which first started assisting Lancia with the development of the historic Lambda, counts Fiat as its major customer. 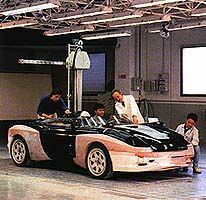 In 1995 Stola decided to create a fully working dream car prototype to raise the company's profile. 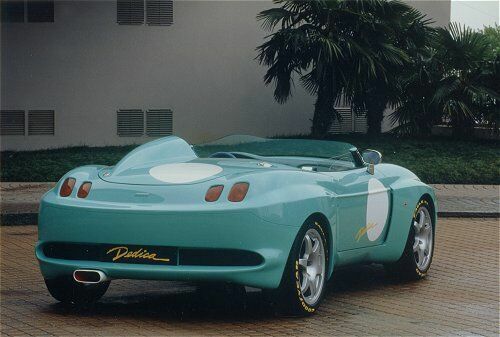 The Dedica was built on the Fiat Barchetta's chassis ( which Stola had helped develop ) and made its debut at the 1996 Turin Motor Show. 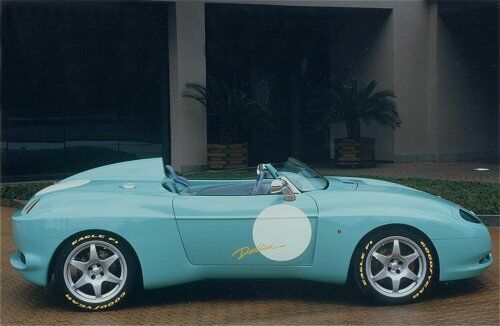 It was designed by Pininfarina designer Aldo Brovarone, a close friend of Stola's managing-director Alfredo Stola. 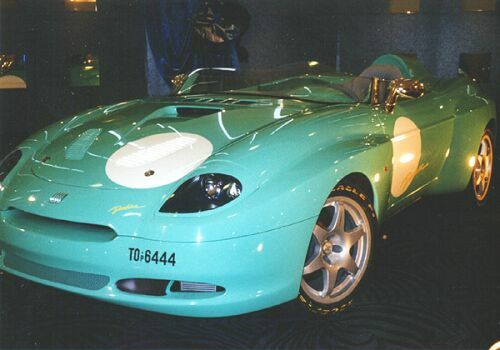 The Barchetta's engine was replaced with the 262 bhp turbo charged 2.0-litre 4-cyl unit sourced from the Lancia Thema. Overall, the light 1020 kg weight of the car allowed Dedica to achieve a 270 km/h max speed and the 0-100 km/h dash in 5.8 seconds. 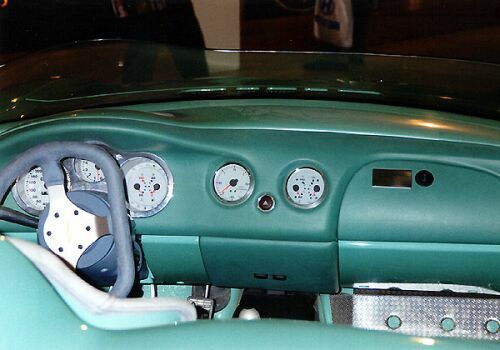 The interior was overhauled and fitted with Momo-sourced seats, steering wheel, gearknob and pedals. The front screen was replaced with a low Plexiglass wrap-round panel, while side windows were dispensed with. The car is a pure roadster, no roof or elements protection were factored in. 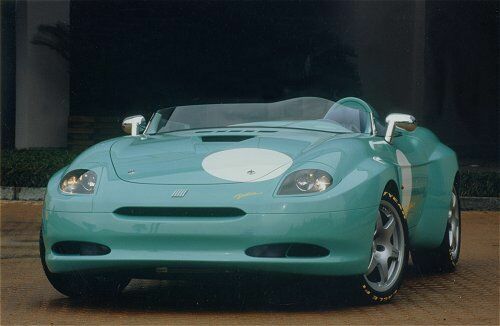 The Barchetta's brakes were replaced with larger Brembo vented discs and 4-pot callipers, while the whole package runs on Goodyear F1 Eagle tyres. Two years later Stola further uprated the whole project, the Dedica evolving into the Abarth Monotipo.